& my sister Mirabella showed me this video on youtube. AMAZING. I teared up! gorgeous! love the pink blazer girl! 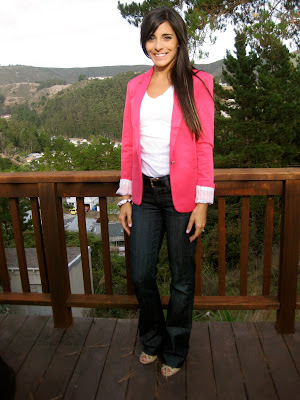 I just found your blog, It's so cute and I really like your style, That hot pink is perfect on you and I'm loving blazers for fall. You and your hubby are really cute together. AND I'm going to Disneyland this month. Hope I can see a flashmob like this. hehe. Great post, following you now! 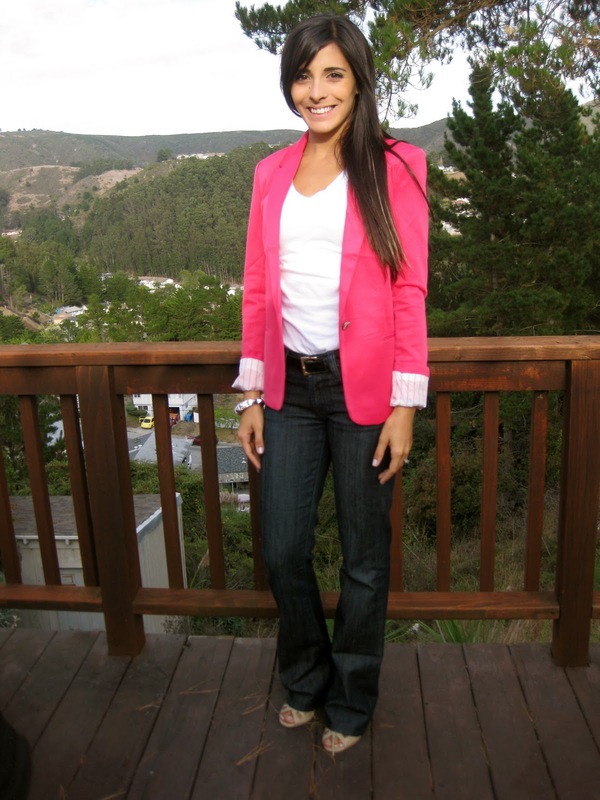 Love the pink blazer! Jeans look great on you! What an adorable video!!! And you look so gorgeous with that pink blazer, love it! I love you bright pink blazer and the flash mob proposal that is so cool! You are just beautiful and I am loving that pink blazer on you...just FAB! So glad I stumble upon your lovely blog tonight!